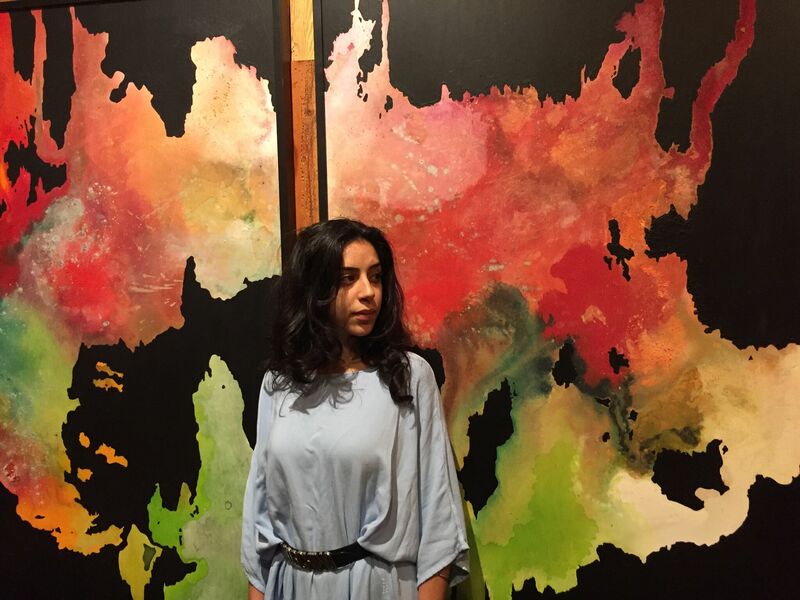 Born and raised in Los Angeles from parents of Moroccan descent, Alexandra Benaim has grown up influenced by Moroccan culture. She was immersed in the rich Moroccan artistry – the unique food, music, and architecture. This inspired the creation of More Rockin, her ready-to-wear, casual chic, unisex clothing line. The line styles perfectly for bohemian, travel, resort, and spiritual wear. Alexandra and her team provide a range of clothing that offers a level of comfort derived from the blend of Moroccan fabrics. Key features of the line are the dynamic flow, vibrant colors and comfortable fit. Styles are designed for everyday movement in unrestricted, boundless form. 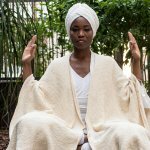 An avid practitioner of Kundalini Yoga and meditation, Alexandra creates pieces that resonate with a life focused on health, happiness, and wellbeing. 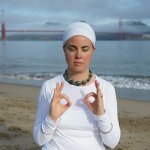 We recently interviewed Alexandra about her beautiful line, connection to Kundalini Yoga, and favorite yogic accessories! I grew up on Morocco artistry and am really into the unique feel of the fabric! This fabric is incredible and I wanted more people to experience the comfortable yet chic fit. Yes, we incorporate mantra into the finished product. The fact that we are in a very safe environment to release emotion, thought patterns and anything else that does not serve our highest self. 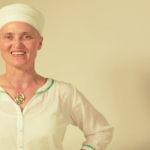 This practice makes me feel incredibly protected and guided, and has made life oh so vibrant! Capris! My favorite pair are the vertical striped capris, we call it the Radiant Striped Capri. My sheepskin, pink blankie, and white scarf. I feel lighter and more expansive. I feel like I can get better in tune with my practice and flow of the energy. I hope they love and live in the clothing! Check out our selection of More Rockin apparel, perfect for your Kundalini Yoga practice.